Sins draw people to the ground. Sergei Selyanov and CTB Film Company, Igor Kalyonov and Nikola Film, Valery Smirnov and Vek Studio, Konstantin Lopushansky, Eduard Rozovsky, Sergei Astakhov, Valeri Revich, Konstantin Kostin, Anatoli Lapshov, Stepan Kovalenko and Miracles-Film, Mikhail Brovarnik and Sergei Turaev, Igor Kabishchev, Alexandra Olonovskaya, St. Petersburg Gymnasium #61, Nadezhda Popova and Training Film Studio of SPbGUKiT, Admiralteisky District Administration, Azimuth Hotel, Admiralteisky District Gilkomservice #2, Metropolis Night Club, Lider Club management, guest workers at 5 Vladimirsky Pr., and many other. This work is an expression of attitude of the new generation. Arkanov’s ironic short story, written decades before, here reveals an epic nature. What a valuable quality! Teenage characters depicted vividly and accurately. In addition, both the jury and the audience were shocked with the plot which can’t be broadcasted on TV. This dynamic, anguished film based on a classic situation of love triangle, looks very modern and would definitely be appreciated by a wide audience. The main characters, two classmates and their female friend, meet on a roof in St. Petersburg, ready to love each other to death or jump down. Katerina’s line from Ostrovsky’s “The Storm,” learned at a literature lesson, prevails: “…why don’t people fly like birds?” They balance on the edge, recklessly deep in their feelings. Starting with a classic form of the narrative at the beginning of the film, the director does something almost impossible in the end — he gets away from verified dramatic moves, like letting the story go. And it moves to a new — sensual — level. Сonventionality of a fiction film collapses, time stops, and the characters suddenly become real people. A script rich with events, plenty of action and, in general, a certain density of narration leave an impression of a feature-length film, although it lasts only 27 minutes and is watched smoothly. Shakespeare pales beside reviving Russian cinema. Brevity is the soul of wit. In a half-hour film youthful illusions were smashed up. The truth of life, diabolical temptation. A true, not contrived passion. “Lofty Senses,” a motion picture by Leonid Plyaskin, which already conquered the St. Petersburg’s Peterkit Film Festival, won the jury of Higher Directors Courses led by the institution’s rector Andrey N. Gerasimov. The audience was greatly excited by watching a movie called “Lofty Senses.” The picture deals with the problems of irrepressible teen sensitivity and sexuality. 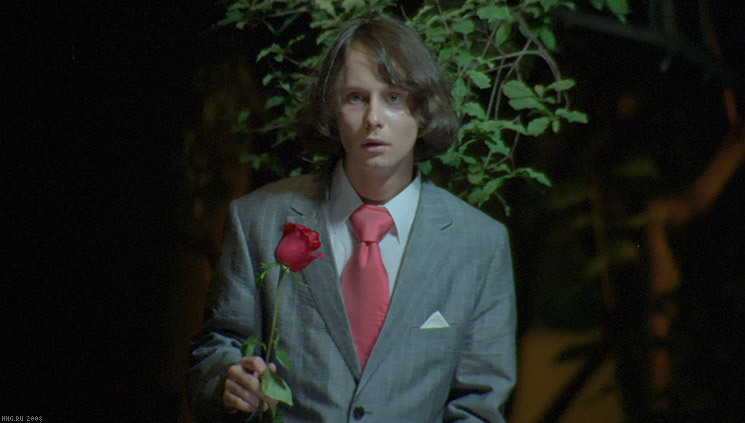 Petersburg’s intellectuals were pretty cool to have managed to confuse the seasoned Moscow public at VGIK festival with explicit scenes comparable with “Y tu mamá también” at its best. The audience reacted very actively — giggling, applauding, cracking comments. 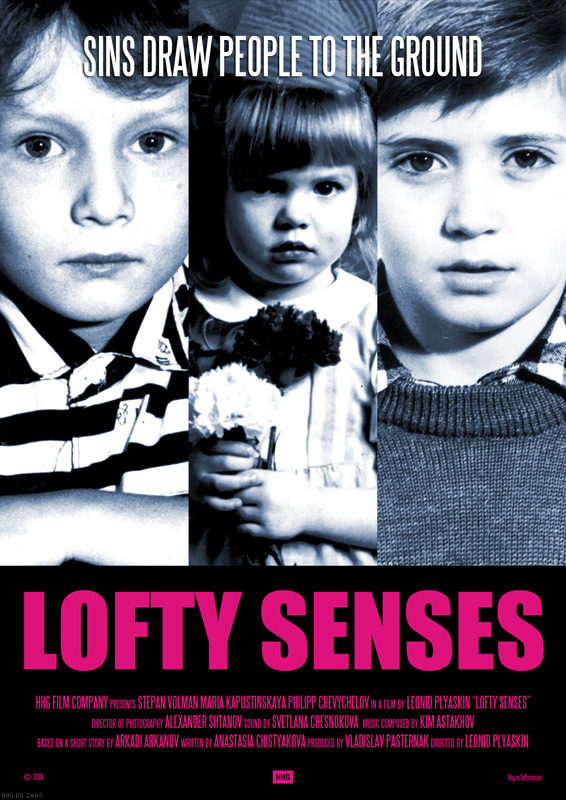 Memories of youth will rush immediately on you after watching Leonid Plyaskin’s “Lofty Senses.” Maybe there are cold winds blowing in the northern capital, but young hearts are not cooled. It was a tension that can’t leave anyone indifferent, as confirmed by the number of awards that the film has already won at various festivals.